It’s about this time of year when we see tweets about a friend attending one conference or a Facebook post about a colleague headed to another event. If you’re a community manager looking to get up to speed on the latest trends in social media, you may not think Content Marketing World is for you. The doubts you may have about attending a non-social media conference are understandable. I have written about the skepticism my previous boss expressed about attending CMWorld. But in my experience, the more conferences you attend, the better. Sometimes, I am quick to dismiss the knowledge of those in a different niche. But by being an “outsider” at a conference, I am forced to find ways in which various views apply to me and my role as a community manager. By breaking out of our industry niche, we stand to learn so much. As that outsider at CMWorld, I am reminded we have many similarities as well. We all want to gain valuable insights and practices to bring relevant content to our audiences. So should you attend a conference not focused on our practice? There are several benefits for community managers to attend CMWorld. Here are five of them. Speakers from around the globe convene in Cleveland every year to inspire, educate and entertain CMWorld attendees. I walk away from each session armed with actionable tips – ones that pump me up and release a rush of endorphins. It’s like completing an invigorating workout. My tweeting fingers are exhausted, and my brain is running a mile a minute with new ideas. And here’s a little secret: Content marketers are some of the nicest people around. They are so willing to share their expertise, and they are downright friendly. So take advantage of CMWorld – introduce yourself to social media trendsetters like Jay Baer, Scott Stratten and LEGO’s Lars Silberbauer. Admit it, who doesn’t want to look good when they’re at work? You want to impress your boss, and you want your community to respect you. 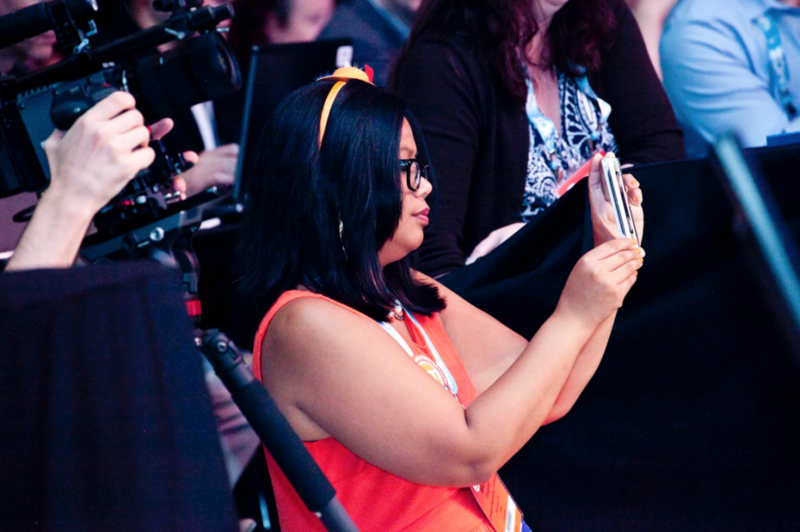 At CMWorld, there is a dedicated track for social media. Learn how to break through the clutter on LinkedIn and Snapchat or hear how to use Facebook for lead generation. But that’s not all because the conference has 21 different tracks. You can sharpen your skills in one area or become an expert in another. With four full days of workshops, labs and sessions, you can delve into the world of advanced analytics or leave with hacks and tools to convert followers into customers. Take back to the office processes and strategies that will make content marketing work for you. Think only the best ideas hit while in the shower? Not at Content Marketing World. Last year’s CMWorld keynote John Cleese explains, ”some [of our] ideas will be good and some will be ok and maybe improvable and some will be absolutely terrible.” And he’s right. Yes, every conference has networking opportunities. But not every conference has me. Ok, not just me but other like-minded, socially-driven attendees. There are no awkward handshakes or exchanging of business cards at CMWorld. We have planned times for meeting people outside of your workshops and sessions, including a rocking Opening Reception. And you can make your mark while in Cleveland. The online nature of our industry makes us appreciate face-to-face connections, and conferences are a terrific way to be known in our circles. Plus, who knows. You could meet your next employer at CMWorld. Ok, this is not exclusive to community managers, but who else can best appreciate the social media fodder for all things orange? 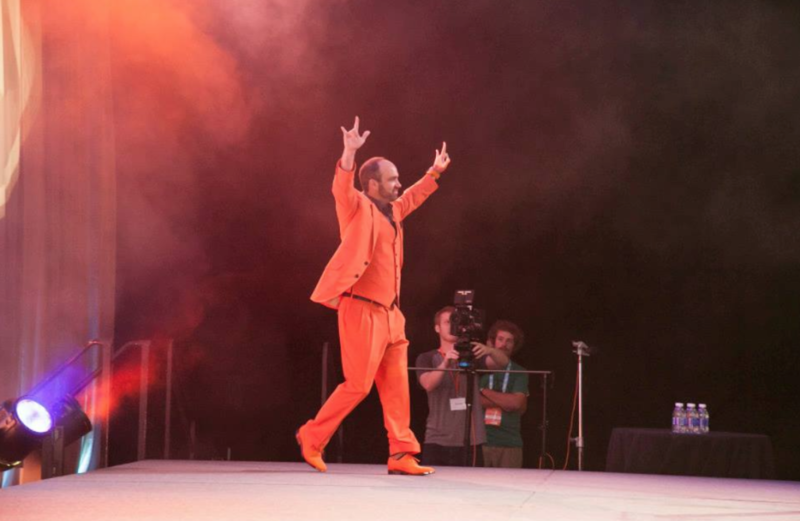 Up your selfie game and grab a pic with Joe Pulizzi in his famous orange suit. Instagram our rows of photo-worthy orange cupcakes. And you won’t be able to resist snapping your walk down the orange carpet. CMWorld is not all about key learnings. It’s a chance to hang out and have fun with fellow marketers. How about we plan a tweetup at Content Marketing World 2016. I’d love to meet you. Follow @CMIContent and @MoninaW, and let’s make it happen! And if your boss needs a little push, hand over our Justify My Trip letter then offer code SM100 to save $100 off registration.